This weekend saw the Scotland MCM Comicon, although in terms of anime, it was really just Anime Limited’s show when it came to presentations and announcements. 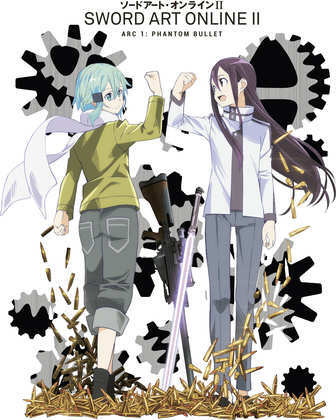 They kicked things off early with the announcement of the Rolling Girls series, but they saved the big guns for the weekend proper. That’s when they announced the K: Missing Kings feature film, the K: Return of Kings sequel series, as well as the acquisition of Assassination Classroom. It also turns out that Gundam The Origin II: Artesia’s Sorrow will receive its world premiere at London’s MCM Comicon. MVM had delays to announce, with Samurai Harem, Outbreak Company, and Rozen Maiden Zurückspulen all being pushed back by a couple of weeks. Manga had a bigger delay to announce, with the Dragon Ball Z: Resurrection F feature film shifting from next month’s originally scheduled home video release to an as yet undetermined date. That’s because what started off as a limited theatrical screening has now become a full on theatrical distribution, and so the Dragon Ball movie becomes like all other theatrically screened movies, requiring a longer gap between cinema and home release. Three reviews for you last week, although technically it’s four. First up was Sword Art Online II: Part 1. I never had the best experience with the original series, and wasn’t expecting much different from Season 2, but I found it to be a pleasant surprise. It’s still a show about players getting lost in virtual reality game worlds, but this season begins by addressing most of the gripes I had with the two Season 1 arcs. The story is paced a lot better, and the characters are intriguing and hold the attention. It also builds on what has come before. This time the online game is about gunplay, and death matches, only at the start of this story arc, the death matches get a little too real. Next it was the turn of Noragami, a somewhat familiar anime concept given a fresh spin from Studio Bones. It isn’t the first anime to look at a human interacting with a god, but Noragami creates an original worldview for its story, and takes a darker, spookier tack. A young girl is almost killed trying to save someone from being hit by a truck, only that someone turns out to be a god. And when the girl’s soul thereafter develops a habit of randomly taking leave of her body, she has to rely on that god to make her whole again. Only this god is something of a layabout. 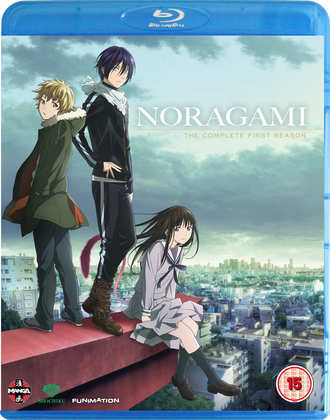 I’ve got two reviews on the site, one for Noragami Complete Collection Blu-ray, and one for Noragami Complete Collection DVD. Finally, and I mean finally in the true sense of the word, I took a look at Bleach: Series 16 Part 2. This is the last instalment of the Bleach anime. It was cancelled a couple of years ago, and while the manga is still ongoing, there been no sign of a resurrection of the anime. 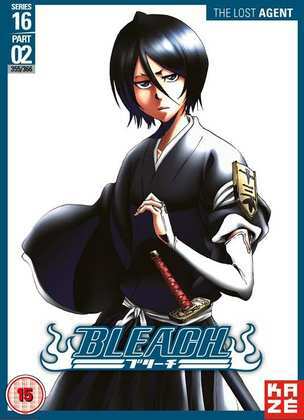 And Bleach goes out the way it came in, delightfully entertaining, lean and efficient. It’s also got the strongest dramatic arc I have ever seen in the series. I loved Series 1 of Bleach, and Series 16 turned out to be even better. I wish I could say the same about the other fourteen. No trailer, but I feel that this is more appropriate. Witch Hunter Robin. This is definitely a blast from the past, back when anime creators had more in the way of free rein when it came to storytelling and characters. Not for this show the character stereotypes, the pursuit of moe, the cutesy voice actor performances that can seem so out of place in some shows. Witch Hunter Robin was an adult show with adult sensibilities, more realistic character designs (except maybe Robin’s handlebar hairstyle), a mature script, and a refusal to pander. Its story extrapolated a world where the sort of witch hunts that happened in the mediaeval age continued to the present day, with the difference that ‘witches’ were actually people with supernatural abilities like telekinesis, pyrokinesis, telepathy and so on. It’s sort of a precursor to Heroes, only in this world the witch hunters actually use and train witches to hunt their own kind. Robin is a fifteen year old girl who joins the STN-J organisation to hunt witches in Japan, but uncovers a centuries old conspiracy instead. Witch Hunter Robin is atmospheric, stylish, and with a great soundtrack from Taku Iwasaki. If it has a flaw, it’s that it tends to wallow in its atmosphere and can neglect its narrative as a result, but as an alternative to the current mode of anime, it’s a good show to seek out. 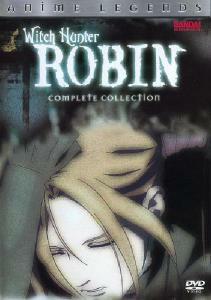 I originally reviewed the US Anime Legends Collection of Witch Hunter Robin. Alas seeking it out won’t be easy, as it was a Beez show in the UK, Bandai in the US, and with both companies gone, the show is deleted. Single volumes are still available here and there from certain e-tailers, and it looks like some sellers on Amazon Marketplace have the complete collection at above RRP, but second hand might be your best bet in the UK. It’s a similar situation in the US, although along with several other former Bandai titles, Funimation has rescued the license. They are taking their sweet time when it comes to re-releasing the shows though. But go to Amazon in France, and you’ll find the collection for a budget price. Beez released anime across Europe, and Witch Hunter Robin had English, French and Japanese audio. The same discs that are deleted here and hard to find are readily available in France, if you don’t mind French blurb on the case. If English is imperative, and you are willing to pay a smidge more, the Australian release from Madman Entertainment is still in print, albeit Region 4. And in my continuing trek through the world of Haruhi Suzumiya, I’ve finally come to Season 2 and Endless Eight. Feel free to pity me. It all happened last Monday. All the Anime released Sword Art Online II Part 1 as a Blu-ray DVD Limited Edition and on DVD, Manga Entertainment released Noragami on Blu-ray and DVD, and Kazé Entertainment released Bleach Series 16 Part 2 on DVD. EDIT: My mistake. That was Bleach Series 14 Complete. Series 16 Part 2 is actually released on Monday September 28th.